What is the USPTO Post Registration Proof of Use Audit Program? In contrast to some other jurisdictions, trademark rights in the United States are based on use in commerce. 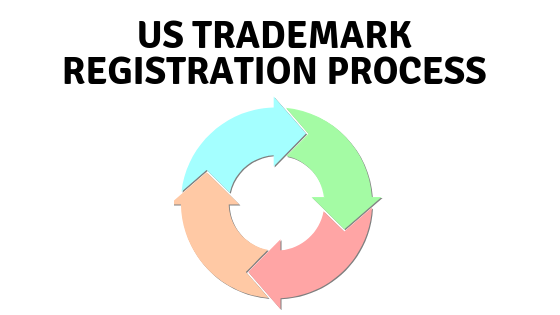 In order to register a trademark in the United States, you must demonstrate that you are actually using the trademark in commerce when conducting business or in relation to each of the products or services identified in your trademark application. This can be achieved by filing a declaration testifying to the fact that the trademark is being used in commerce and by submitting evidence showing the trademark is being used on the products or services detailed in the application. Normally, after your trademark has been registered, you are required to maintain your trademark registration by submitting at least one trademark specimen of use per trademark class, between the 5 and 6th years, between the 9th and 10th years, and then every 10 years thereon. 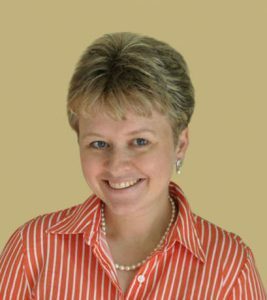 So, for example, if your trademark registration cover Class 18 (purses, wallets, backpacks, luggage, and suitcases), submitting to the US Patent and Trademark Office (USPTO) evidence of the trademark being used on a backpack, should be sufficient evidence in support of the registration for all of the goods in that trademark class. The main objective of these post-registration maintenance requirements is to prevent the trademark register from becoming full of “dead wood” i.e. trademarks that are not being used. However, the USPTO has recently decided that these measures are simply not enough. In 2017, concerned with evidence that 1) the above-mentioned requirements were not enough to keep the trademark registered from being bogged down with dead wood, 2) the trademark register did not accurately reflect trademarks in use in the United States for the product and service identified in registrations, and 3) that these circumstances would impose unnecessary costs and burdens on the public, the USPTO implemented the Post Registration Proof of Use Program in order to evaluate and enhance the accuracy and reliability of the US Trademark Register and to eliminate trademarks that are no longer in use. Under the Post Registration Proof of Use Audit Program, the USPTO carries out random audits of Section 8 and Section 71 trademark renewal affidavits to ensure that trademark registrants meet the “use in commerce” requirements for a US trademark registration. Registrants may now be required to respond to post-registration office actions by submitting evidence proving that the trademark under consideration is actually being used on all of the products or services claimed in the registration. If no proof is submitted, the USPTO may cancel the registration wholly or partially––regardless of whether the trademark specimens originally filed demonstrated the use of the trademark on any of the products or services claimed in the registration. Your trademark is registered in two or more classes with two or more goods or services in each trademark class (e.g. Class 18: luggage and suitcases and Class 25: clothing, shirts, shorts, pants, coats, and hats). How will I know if my trademark registration has been chosen to be audited? If your trademark registration is chosen to be audited, you or your trademark attorney will receive an office action from the USPTO notifying you that your trademark registration has been chosen to be audited and identifying two additional goods and services per trademark class for which proof of use must be provided. If my registration is audited will I lose my trademark? This depends on how and when you respond to the office action. You generally have 6 months from the date of the office action was issued to file a response. If you respond with sufficient proof of use before the deadline, the USPTO will send you a notice of acceptance and you will keep your trademark. 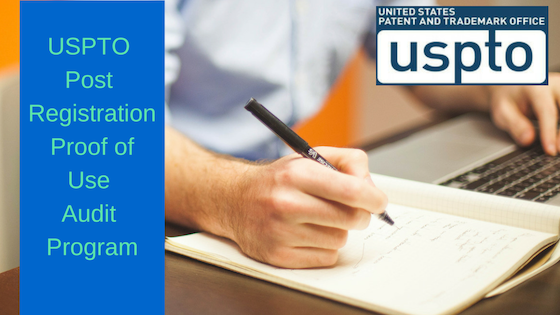 However, if you fail to respond before the deadline, or fail to provide sufficient proof of use, the USPTO may cancel your trademark registration entirely or partially. What is sufficient proof of use? Sufficient proof of use is any evidence that clearly demonstrates how you are using your trademark on the goods, or in relation to the services detailed in your trademark registration. If you are offering goods, like T-shirts, sunglasses or any other types of product, you can submit a photograph of the product in packaging or with tags attached showing the trademark. If you are offering a service, you can submit a screenshot of a website or a copy of a flyer or brochure that advertises your services. In addition, you can submit a photo of the trademark being used on signage advertising a retail store, restaurant, etc. Bear in mind, however, the trademark cannot just appear on the product, for instance across the chest if a T-shirt or upon the product itself, it has to appear on the packaging. So, you will need to take a photo of the product in the packaging or with the tags attached. What happens if I don’t respond in with acceptable proof of use? 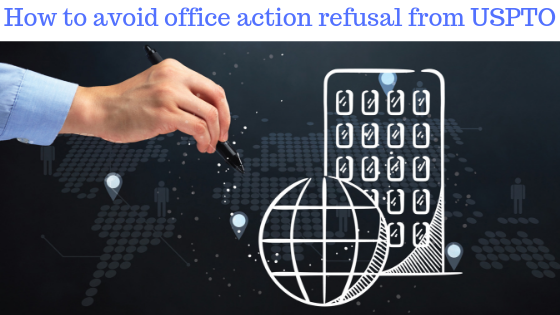 If you do not respond to the USPTO office action with sufficient proof of use, or if you simply delete the goods and services that are being audited, you will receive a second office action from the USPTO asking for proof of use for ALL of the goods and services listed in your trademark registration for which proof of use has yet to be provided. If after the second office action you still have not provided acceptable proof of use, you will receive a final office action from the USPTO notifying you that all of the goods and services for which acceptable proof of use has yet to be provided will be deleted from your trademark registration. If your trademark is selected to be audited under the Post Registration Proof of Use Audit Program, it is very important that you provide acceptable proof of your trademark being used in commerce. If you do not provide acceptable proof of use, your entire trademark registration may be canceled. So, we strongly advise you that you take this office action seriously. For help responding to an audit notification, or for more information regarding the USPTO’s Post-registration Audit Program, or contact Trademark Angel at 226.246.2979, or visit our contact page to book an initial consultation. 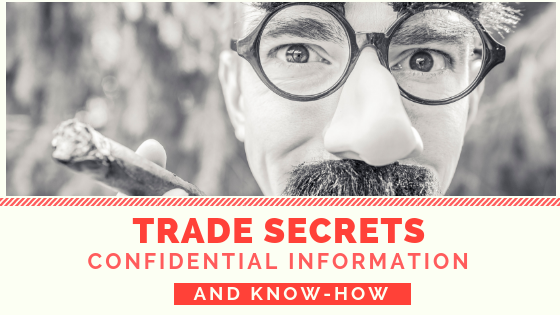 Trade Secrets, Confidential Information, and Know-how: What Are The Differences? What is Section 8 trademark declaration of use? 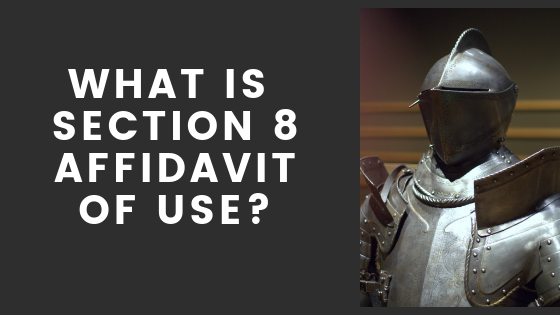 When do I file Section 8 affidavit of use? 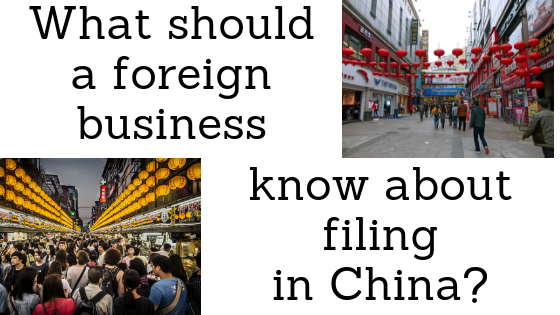 What should a foreign business know about filing a trademark in China?